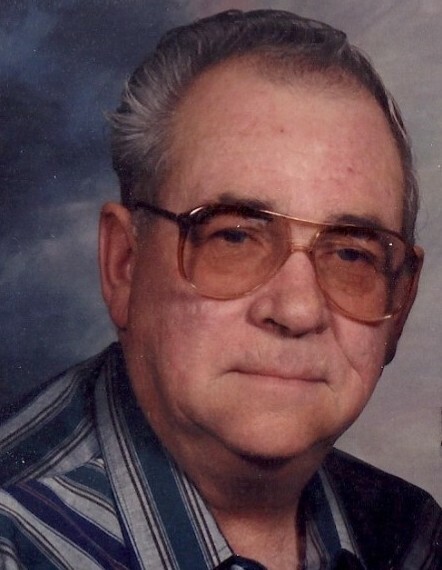 James "Slick" Miller, 80, of Bismarck, passed away on August 21, 2018 at CHI St. Alexius Health, Bismarck. Mass of Christian Burial will be held at 10:30 a.m. on Monday, August 27, 2018 at St. Joseph Catholic Church, Mandan, ND. Burial will be at the North Dakota Veterans Cemetery following the service. Visitation will be held Sunday, August 26, 2018 from 4:00-8:00 p.m. at Weigel Funeral Home, with a Mandan Moose Rosary at 6:30 p.m. and a Parish Vigil at 7:00 p.m. Visitation will continue at the church one hour prior to the service on Monday. James was born in Flasher, ND on February 9, 1938 to Emil and Frances (Tischmak) Miller. He attended school in Carson, ND, and he also joined the US Army where he proudly served in the Korean War. After returning from duty, he relocated to South Dakota and worked hauling gas for Standard Oil and later became employed working in the mines. He eventually moved back to North Dakota where he became owner of Miller Construction and Miller Trucking. Often times you would find him enjoying the ND outdoors camping, hunting, or fishing, but never swimming! He also enjoyed visiting with family and friends telling jokes or pulling pranks. Playing pinochle and cribbage was his expertise and he was always willing to teach the game. After retiring, he spent nearly every Sunday morning holding the door and greeting church goers, passing out his doublemint gum. He loaded his pockets daily and was known for passing out gum to strike up a conversation, or just get a smile. James was united in marriage to Donna Stumpf Berger on July 1st 1972. His life centered around his family and he never passed up events of his children or his grandchildren. He took great pride in handing out special nicknames for all of his grandchildren which he proudly listed on his semi trucks. James will be dearly missed by his wife, Donna and their children; Kent (Maryann) Berger, Mandan, ND, Karry Callanan, New York, NY, Karla Telle, Phoenix, AZ, Sherri Davis, Bismarck, ND, Raven (Dorice) Miller, Bismarck ND, Jerri (Dean) Hopfauf, Bismarck ND, Krista (Troy) Walters, Phoenix, AZ, Bryan (Debra) Berger, Mandan, ND, Levi (Sandie) Berger, Mandan, ND, 21 grandchildren; 14 great-grandchildren; his sisters, Marge (Lyle) Hartman, Mandan, ND, Marie (Ron) Bieber, Rapid City, SD, Elaine Miller, Mandan, ND; brothers, Ted (Sharon) Miller, Mandan, ND, Ron Miller, Ft Peck, MT, Norman (Mayvonne), Bismarck, ND; and sister-in-law, Iola Ruscheinsky. He is preceded in death by his parents Emil and Francis Miller, and his brothers, Richard and Roger. Go to www.weigelfuneral.com to share memories and sign the online guestbook.